Gator Tag applications start May 1st! I had one guy argue with me that all our gator photos were photoshopped, but I'm here to tell you that I don't even know how to do it if I wanted to! 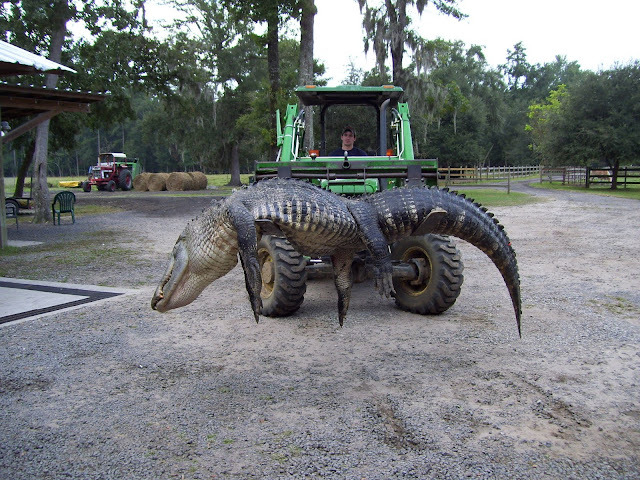 This is just a reminder to apply for your alligator hunting tags on the DNR site after May 1st! Our fainting goats had 2 new babies! These little guys were born late Saturday afternoon. The lighter one's a girl we've named Sunshine and the darker one's a boy named Moonbeam. Don't blame me, my grandkids came up with these hippy names! These little goats should keel right over at the slightest fright! 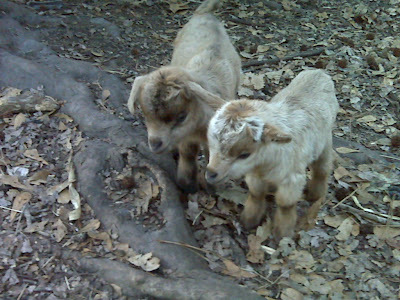 Both their mom and their dad are full fainting goats. We're expecting more as spring comes in! Ellen cooks Pin Wheel Steaks! These look very pretty and like they took a long time to prepare, but they were actually fairly easy. My husband and I enjoyed branching out and trying something new. The kids weren't quite sure about the sun-dried tomatoes! The baby loved the cooked cheese mixture on his little bites of steak. 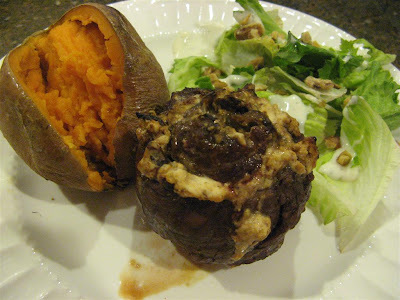 =) If you have any other delicious Pinwheel Steak recipes, please share!